The modern-day consumer expects a personalized, engaging experience at any time, anywhere, on any device. As a result, digital disruption has transformed the media and entertainment industry. Looking ahead, companies must experiment to find the right mix of digital offerings that capture and retain the consumer’s attention. 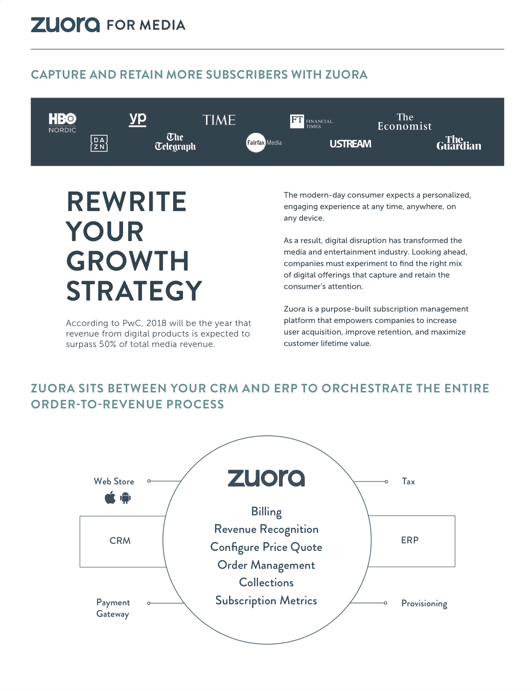 Zuora is a purpose-built subscription management platform that empowers companies to increase user acquisition, improve retention, and maximize customer lifetime value.